Did you know putty can do more than be smooshed around and stretched into weird shapes? 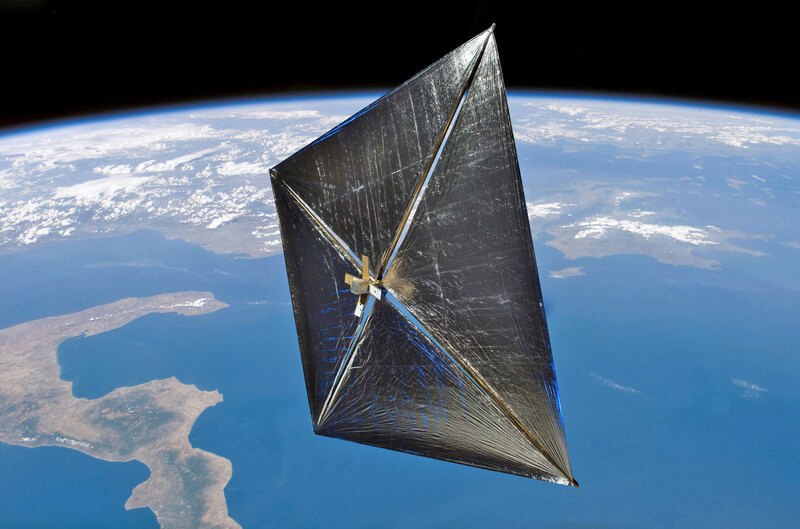 It can if it’s Scientific Magnetic Space Putty. Like regular play putty, this stuff is still viscoelastic for all the funky stretching and stress-relieving. But this putty is also embedded with magnetic properties, so you can use it to interact with magnets. 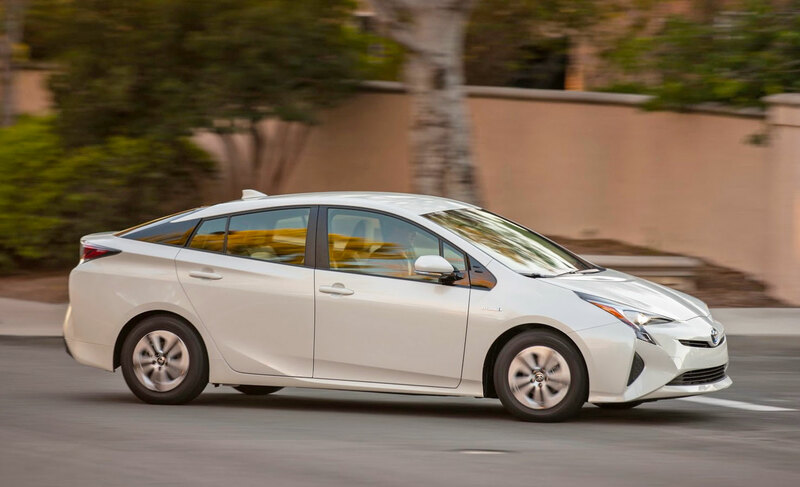 It even bounces, so the possibilities for play and fun are virtually endless. 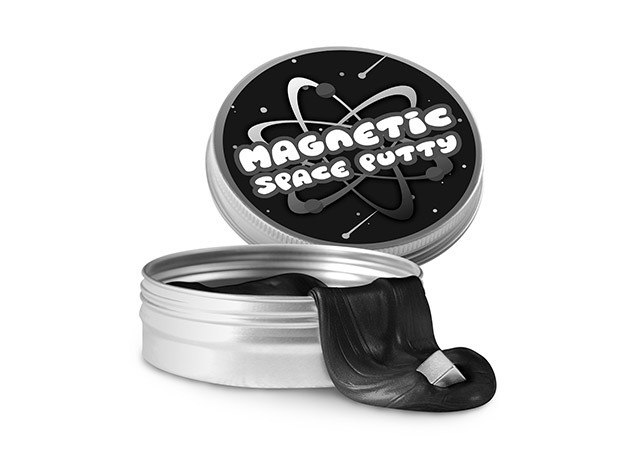 Wow your kids (or even your coworkers — magnetic putty doesn’t discriminate by age) with Scientific Magnetic Space Putty. Try it out for only $9.99(USD) at the Technabob Shop. Lava lamps are so 40 years ago. If you want a cool moving display for your desk, you’ll want to check out RIZE, a slick desktop plaything which uses the power of magnetic ferrofluid to create a neat, spinning design. 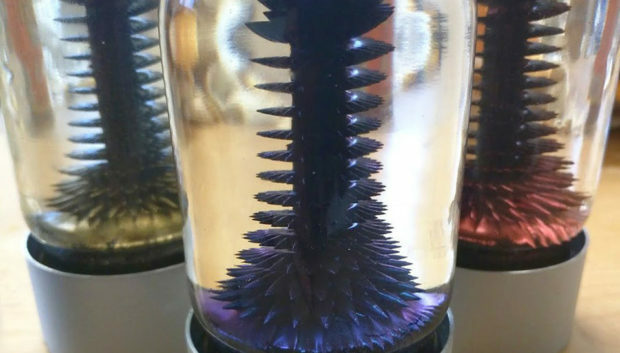 The RIZE consists of a small glass chamber that sits atop an anodized aluminum base, and is filled with ferrofluid, an unusual liquid with magnetic properties. A structure rises from the center of the glass, and the magnetic fluid sticks to it and spins around, forming a sort of upside-down tornado of metal goo that rises from the base of the glass. Since the fluid isn’t actually attached to the center, you can pull and push it around using the included magnetic wand, and it’ll just find its way back to the center when you stop messing around. If there’s anything disappointing about the RIZE is that it’s pretty tiny, measuring in at just 2.5″ x 2.5″ x 4.5″. Still, it’s a pretty sweet desktop toy. You can get your hands on the RIZE ferrofluid display in a variety of fluid colors too, and it’s available now for $135(USD). Etsy shop PaisleyGarbage is selling this beautiful desk lamp made of U-shaped poplar and acrylic pieces stacked side-by-side. They took to Reddit to share how they made the lamp. PaisleyGarbage used a 35W laser cutter to prepare the wood and acrylic parts, including the base. 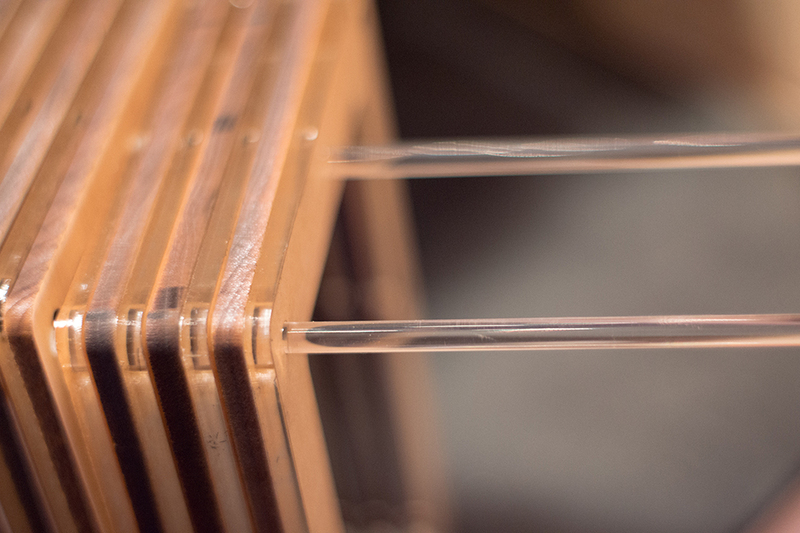 They then threaded acrylic rods and used construction adhesive to assemble the wood and acrylic pieces. 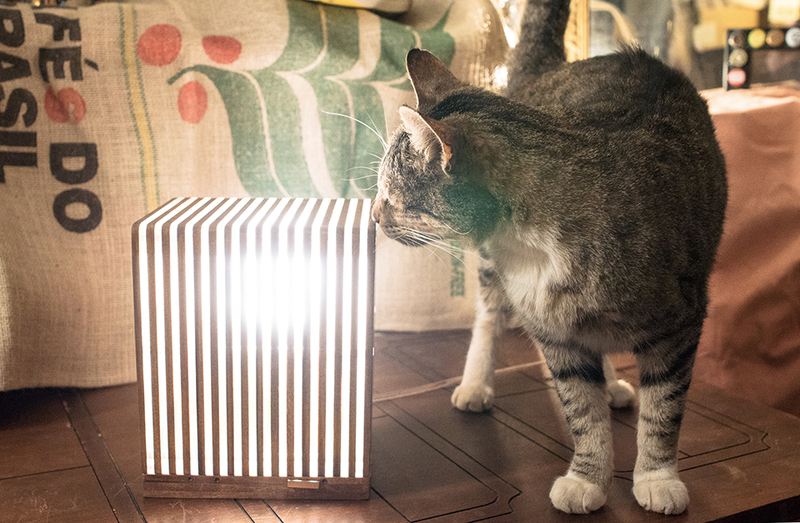 Despite its homey aesthetic, the lamp has a geeky touch in the form of its power switch. Paisley Garbage used a reed switch and included a small magnet to toggle the lamp’s power. You can order the lamp from their Etsy shop for $250(USD). 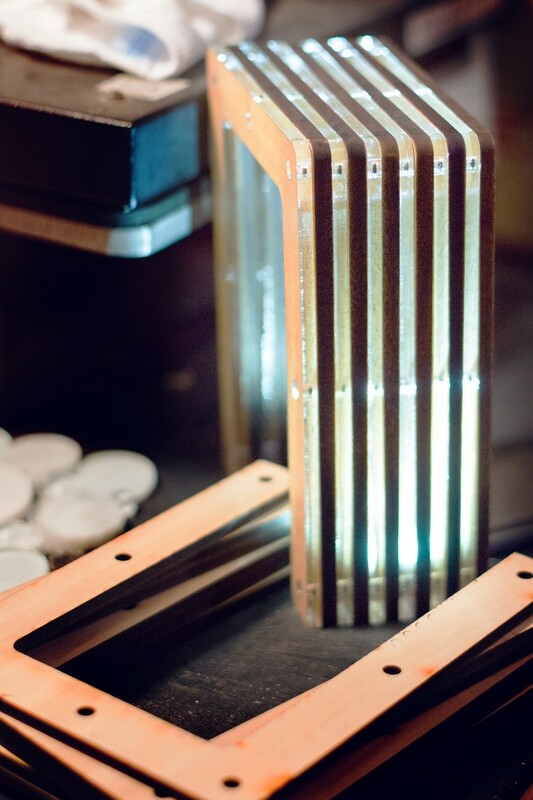 They’re also willing to customize or sell you a ready-to-assemble kit of the lamp. Just send them a message to discuss the specifics.